Do you work for Google Docs? Learning about Google Docs? We can help. "We use it to do collaborative presentations"
"So simple, a life saver." My favorite thing about Google Docs is how it automatically saves every single change you make to a document up to the spacebar. It's also very helpful how you can share and invite people to make edits or comment on your document. Oh and it is all too easy to correct spelling or punctuation with the shortcuts provided! There is honestly very little I dislike about google docs, but I guess I would have to say how it won't auto-save your work if it not connected to the internet. But that isn't something Google can help. That's just how electronics work. Absolutely use this! It makes organization and usage so easy! Along with keeping track of all your notes. I use Google Docs for all note taking and very important documents that I may need to reference back to. I also use it a lot for writing as a hobby or making lists. It's great because you can connect it to any electronic device you have from smartphone to desktop! So you're never without your documents! Google Docs is a tool that allows me to edit or create documents in word format over the internet without having any executable installed, which is quite good, it also has many options and added sources, it is also super simple to use and with the simple fact to have a gmail mail we can access this service, besides that it is integrated with Google Drive so that we can share the documents with whoever we want instantly. As for what I do not like, I add that I need to use it with internet access, so I do not think it is very effective because if in some situation we can not access the internet we are unable to use this tool , I do not like that it is not a tool as capable as others and that it can be short at the level of personalization compared to any tool that is executable. I do not like that sometimes the final product has problems in terms of visibility but I guess they are problems that will be solved over time. It is a growing tool and the truth is that being free can flirt a lot but if a tool for editing and creating content in word format is indispensable in the work I think it is dangerous to just count on this since there may be problems that do not Let us work. With Google docs I have been able to solve quite specific problems, if it is true that I do not see it as a super indispensable tool, I think it can be extremely useful when writing very short documents and share them with the people you want, documents like reports, news, among other things. Putty, the best and fastest virtual terminal to make remote connections to network devices. "A great creator and text editor with ease for anyone"
google doc is a google tool that has helped me lately since I've been using it to write and edit different documents that I used to do locally on my computer with third-party programs, I really like this tool because I can use it in a Online this means that I do not need to install any type of program to be able to visualize it or to be able to make my texts in word format, Google Docs have adapted it so that anyone without any type of knowledge can use it is completely easy and truly wonderful. with all the necessary functions to create texts, different types of letters, underline, auto-save, etc. what I like most is its easy access from anywhere, only with connection to the internet you can access this wonderful tool. The tool so far has not given me any problems and I'm completely comfortable with it, it's really a wonder that Google will implement this tool to be able to forget the local documents and use the cloud daily and know that my documents will be safe, with easy access anywhere, anytime. google docs is a tool that is totally free, without a doubt it is the tool that I currently recommend as the best text creator to make reports, workshops, jobs, among many other things without effort, to have access to it is quite easy, with storage options in the cloud and self-saving so you do not miss any step that has been given in the documents, I recommend using it and change it to become part of their daily lives, it is a totally useful tool for professionals or novices, recommended completely. daily I use Google docs with the objective of making text documents such as reports, office work, I also do university work, it helps me to make notes during work and / or meetings, it has many functions that I have not been able to take advantage of but I hope to be able keep learning a lot of it and use it to the fullest. "Perfect software to work projects and tasks. " I like to be able to create documents, spreadsheets, edit images, all this online, I can share it and my colleagues can visualize my projects and contribute ideas to it. I did not like that at the beginning to be able to access it, I had to create a Google account because without it, the system can not be accessed. It also does not have all the features of a desktop software. It is free software, which you can use anywhere you want, when you have access to the Internet, it allows you to edit documents with a variety of functions and you can save them in a cloud safely. Google Docs is like an office solution for my work, I have saved a lot of money and time, it is so excellent and incredible, that I can consult and view my files from any device, mobile or fixed, thanks to the great compatibility it offers. "Perfect text editor for precise work"
In my duty, I use a lot of software. Very few of the programs I've used so far are as useful as the Google document. By the way, my first use was not deliberate. I needed to urgently edit a Word document file that I had prepared on my PC, but my battery had run out. Fortunately, I had the file in my email and quickly logged into my email account on a friend's computer. After downloading the document, I noticed that there was no suitable word processor program, apart from the notebook on your PC, which was not effective for what you wanted. I was surprised and asked my friend how he prepared his documents. He told me about Google Doc, which I've heard about previously, but which I've never really used. I was hooked after using it. Now we use Google Doc almost daily in our office and there are many reasons that include that you do not need installation on your PC, since you can use the web to evaluate it anywhere for free. In addition, it is web-based, so you have no concerns about saving your document on a third-party site. You can also easily share the link to anyone anywhere in the world or keep your files in private mode. I like to be able to chat and collaborate with colleagues without leaving the Google Doc page due to its integrated chat function. your document is automatically saved once you start working on the file and supports a variety of formats such as Doc, Docx, pdf, Txt, Epub. My favorite is the support for the identification and automatic correction of errors, which is very useful as a professional. At the beginning, Google Docs suffered from not having some of the most advanced functions that a desktop editor would have, but progressively evolved to have most of what a team would need. Your biggest point of friction comes with working offline. Since it depends on a browser, you should follow some additional steps to download an add-on and enable some configurations. It is possible that some browsers do not have all the complementary functions, since Google Docs is very focused on Chrome. I recommend this application, if you have a Gmail account as the main one it will be a great ally for you. Having a text editor so complete in the browser is very much for my work since I can quickly edit text and send them to my clients in a quick and timely manner. "Great for school and work!" I've been a google docs user for years and I highly prefer it to pre-installed document software. When I was in school, I used it to type up all of my essays because it automatically backed up my information so I'd have no fear of losing it. It was also great for group projects because I could work on the same essay with other people without being in the same location as them, which was extremely convenient. I am no longer in school but use google docs all of the time at work. I use a google doc to post all of the notes from our team meetings and once I post the notes to the doc, my team is able to see my updates in real time. I also have a separate google doc where I have all of the handbook information for my department; my manager uses the Comment function to ask questions and get clarification, which is another great function in Google Docs. Google docs is so multifunctional that I honestly don't know what I would do without out! I wish there was an easier way to access the strikethrough function, but this is only a minor pet peeve. For the most part, the functionality of google docs is seamless and I don't have much to complain about. Use Google docs instead of the typing software that is already installed on your computer. You don't have to fuss around with consistent updates and the information automatically backs up as long as you are connected to internet. Use it for school, work, and personal use, as its multi functionality is universally useful. Google Docs is a great way to encourage collaboration and consistency of information in my department at work since we are able to keep our information in one place and provide live updates. "The perfect word processing tool for document and project collaboration"
Shared access to the file with simultaneous editing makes it so that people can discuss and work on separate sections of a document at the same time, while saving tons of time because there's no delay between writing and editing/checking other peoples' work. The version history feature is also awesome, allowing you to go back to previous versions. There are some functions that are not as easily accessed, for example tables and changing gridlines, creating columns are all a little less than intuitive if you're used to Word. Consider that if your harddrive fails, you may lose documents unless they're stored on the cloud. I now habitually create documents on Google docs and there's much less clutter on my harddrive, my files are easily searchable, and I never have to worry about losing them. Also consider that Google products are typically created with good user experience and design in mind. Something that's really powerful about Google Docs is that it integrates with other google tools, so for example if you import a table or graph from a google sheet, it can automatically update whenever you change the data in the table or something about the graph from a sheets file. This is, again, super useful for collaboration. One person working on one document just doesn't happen anymore. 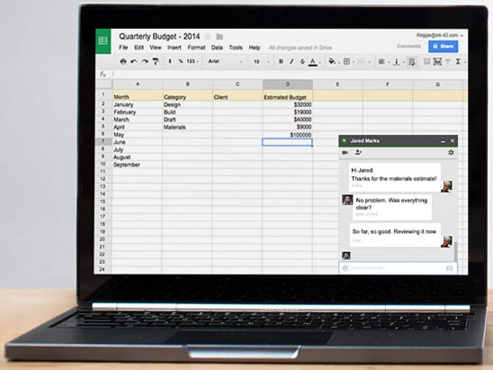 People need to collaborate and Google Docs is a great tool for that. "The best tool to create and share documents on the cloud"
Google Docs is the perfect option to create and share all type of documents on the cloud, but not only that, as you can also share them with other users and let them just see or even modify the text itself; you can even upload any Microsoft Word’s document in Google Docs and open them easily or change it on Google Docs. Also, as Google Docs works on the cloud and you can share the documents with all of your team members, this software allows you to see the modification’s history so you can track all the changes that any text suffered. First of all, for using Google Docs you need, in most of the cases, to have internet available if you are going to use it on the pc, as in the mobile version you can edit documents offline, but the desktop version is limited in this subject. Another flaw is that you need a Google account to be able to use Google Docs, so if you still don't have any Gmail account, you will have to create one to enjoy all the features of Google Docs. So when working with corporate emails on a different email provider, you need still to create a google email account to have access to Google Docs. Last but not least, sometimes, when processing extensive or heavy documents, Google Docs can become somehow slow, but after a few seconds it will be normal again, and this shouldn't happen as it’s an online text editor. When this lagging happens, you can be typing something, and nothing will be recorded, so if you miss the idea that you were writing, you will have to start typing all over again. Give it a try to Google Docs, is easy to use, versatile, and is integrated with Google, so you can access it anywhere with just having internet access. You will be able to create and store documents, files and more with this software, and keep your work and your team organized. Our Work team is scattered all over the world, so having a text editor like Google Docs that any one of them can access anywhere just sharing it with them and that they can modify it in real time, add information, images and more. Once they do it, you can review the modifications in real time, and add comments if you need it too, so everyone is working on the same page and keep a track on the changes that are made to the documents. "I like Google Docs, I have liked my experience with it." I found Google Docs easy to use, because you can make different documents like a letter, curriculums, others. Besides it offers you the variety to choose what kind of document you want and it shows an example or templates about an specific document, for example, if I want to do a curriculum, they give you the curriculum's template, and you can know what you need to write on it. Also they save all words or every correction that you are writing in the document on the moment, after they save it on Google Drive and this is very versatil because you can dowload it on play store, and you can work normally as if you're working on your computer. The only thing that I don't like is that if you want to save all your documents, necessary you need to have internet connection on the moment. This software has served me a lot and it makes you work easier, so I recommend it to you. I have made some documents with it, for example, reports for my work, some curriculums and others things, and it has served me so much on my work. "Google docs, vinculado con google drive"
Google docs es un procesador de texto moderno y muy útil, puedo crear documentos y editarlos desde mi ordenador a la misma vez que otros usuarios, desde sus teléfonos, tablets, todo esto con o sin una conexión a Internet. Me gustan los formatos de texto, estilos, las fuentes que te ofrece este famoso procesador de texto. Google docs es una herramienta gratuita, ligera, fácil de utilizar y lo mejor es que puedes acceder a ella desde cualquier dispositivo, ya sea una tablet, un dispositivo móvil, entre otros. La tecnología avanza y nosotros debemos hacerlo con ella. La mayor virtud de trabajar con google docs es que una vez que creemos cualquier tipo de documento el mismo se almacena automáticamente en la nube de google drive, esta es la nueva tecnología que nos ofrece la gente de Google, la vinculación automática de sus productos hacia su nube. Esto es una gran ventaja ya que me permite compartir dichos archivos con cualquier usuario que tenga una cuenta de google, incluso el mismo puede ver y editar en tiempo real el documento y los cambios o modificaciones que se realicen desde cualquier extremo al documento automáticamente en tiempo real podrás visualizar los cambios realizados y viceversa, cualquier persona que tenga acceso al documento podrá ver los cambios que se le realicen en tiempo real y por cual persona de los que están conectados fueron realizados los cambios anteriormente mencionados. "Take your documents wherever you go with Google Docs"
This software is ideal for remote work, has excellent options for editing documents in a group and also has a very fluid interface completely online, I can add add-ons and I can also import my documents to open them with other text processors. Personally I would like to be able to work more offline, because when I lose my connection to the internet many of its features are disabled, and I noticed that it takes a long time to reflect the changes made on the web in your mobile application. Google docs is a fairly complete software, however, it does not work very well when we try to handle very large documents because the experience becomes slow when online. I use Google Docs because it is a very novel alternative for creating and editing text documents, with the ability to work remotely without the need to install anything on my laptop, just by having my account google I have access to my documents in any place. "A great Work Processor on the cloud"
I don't think i dislike anything about Google Doc. It would have been awesome if rather depending entirely on Web version and mobile app, we would have a desktop app where you can drop your word documents back and forth from desktop to Google Docs and vice versa. Google Docs are compatible with Microsoft Word Documents. You can upload MS word document on Google Doc without loosing formatting and vice versa. We are using Google Docs on all our App servers and shared jump servers where we do not have any word processor installed. We are also using it to share and collaborate documents with team members. "The best Online Version for your Documents"
When we refer to Google Docs, we are talking about an Online Application that is designed to do Online Work. You can Create and Edit Documents from your Computer, Tablet or Mobile Phone. And the best thing is that you can do it with or without an Internet connection. It is a quite powerful Program to make your Texts or Calculations in the Excel Sheet. When we name Google Docs, we immediately refer to the Microsoft Programs Platform but in an Improved way and in its Online Version. Once your task is done in Google Docs, your New Document or Edited, whatever the case may be, you can save it directly to the Cloud and thus you do not run the risk that your Work is lost, since with saving it in the Cloud it is more than protected, way it will be much easier to access it from any device, it's just having your email synchronized and ready. What I love most about Google Docs is that it is a totally free platform, you do not need to make any payment to use this incredible application, you only need to have a Synchronized Email to Google Docs and Ready. From creating a Word Processor, Calculations in the Excel Sheet and Forms is completely easy and simple. Another advantage that Google Docs has is the storage capacity that it has, it is very strong and powerful, capable of storing large amounts of information. Google Docs is very good and useful, I recommend it. Personally, the advantages of this Software are Infinite, which is why I have nothing negative to say about Google Docs. The truth is the best that exists to perform Online Works. In my area of ​​work, it is very important to carry out work like the ones I can do with Google Docs, it makes my job a lot easier since it is very easy to use and fast. The best thing is that I can synchronize the account of the people I want to receive the information made in Google Docs. Google Docs es el procesador de textos de Google. Es un programa muy útil para trabajar en grupo, ya que no de pende de la máquina en la que se utilice ni tampoco de su sistema operativo. Es necesario tener Internet y un navegador, además de una cuenta con gmail (en este caso bastante limitada) o con Google G Suite, de pago y muy utilizadas en empresas, y tendrás almacenamiento ilimitado en Google Drive, que es realmente donde se guardarán tus archivos creados con Google Docs. Una cosa que adoro de Docs es la posibilidad de compartir con cualquier persona mis archivos e incluso darle poderes para poder modificarlo. Docs añade un excelente gestor de versiones para que puedas recuperar versiones antiguas ante modificaciones no deseadas. La interfaz es muy intuitiva y es muy fácil de hacer cualquier cosas si ya tienes conocimientos en Microsoft Word, por ejemplo. Además, en teoría son ambos formatos compatibles, aunque en la práctica comentaré más adelante que no siempre será así. Se comunica muy fácilmente con Google Hojas de Cálculo. Google Docs puede ser exportado a otros documentos como Word, pero si tiene diseños complejos como muchas tablas, encabezados, pies de página e imagenes, puede fallar. Cuando se trata de documentos con miles de hojas, no funciona bien. Se hace necesario dividir en diferentes archivos. Muy útil sobre todo para trabajos en grupo que deben ser compartidos. 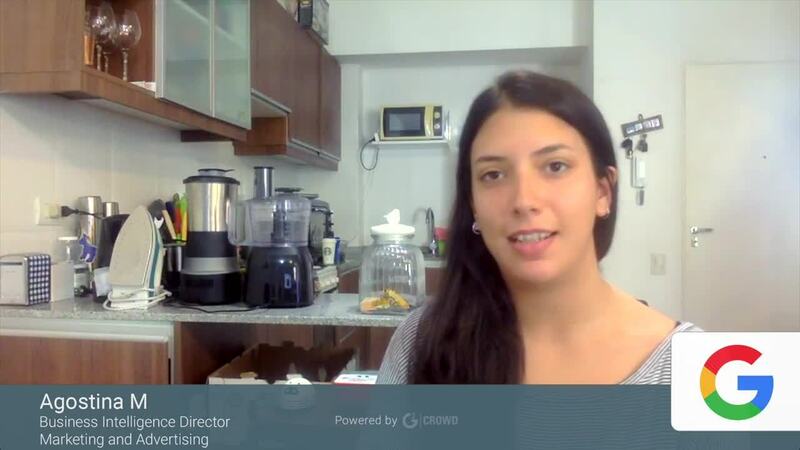 Es gratuito para usuarios con cuenta en google, ya sea de gmail o de G Suite empresarial. Se utiliza para realizar los trabajos en clase en grupos de varias personas sin tener que quedar en un mismo lugar, sin necesidad de llevar dispositivos de almacenamiento externo, etc. Además con una cuenta de gmail es gratuito y podemos compartirlo con quien queramos dando tan solo su enlace (por ejemplo en un correo electrónico). Google Docs is helpful in so many different ways, but chief amongst these is its ability to make collaboration on projects, papers and other assignments simple. The ability to easily share a document to your colleagues with a simple shareable link is impeccable. Also, multiple group members can access and edit the document at the same time with autosave features so you do not have to worry about losing your work. All documents are stored online so there is no need to worry about carrying your files on an external hard drive or losing your work if your computer crashes. The design is not the most intuitive and is different than Microsoft Word, which is what most users will be accustomed to using. It does take time to learn where the different features are and how to edit the document to the way you want it to be. Also, there can be some difficulties in managing the document if too many users are editing it at the same time. I would definitely recommend trying out Google Docs as it makes collaboration and file sharing very straightforward. The ability to efficiently work on projects with colleagues and share this file within group members and with those outside of the group makes this application outstanding. Furthermore, the mobile and tablet apps increase work efficiency by being able to carry your work with you on-the-go. Overall, Docs provides a strong application to improve work collaboration and efficiency. Google Docs has drastically altered my work flow and efficiency as I am now able to work with my colleagues on many different projects at the same time. The ability to have multiple users editing the document at the same time not only saves time, but provides more input for proofreading. "Excellent web application for online word processing, and it is free for users." An application on the web and mobile phones that is used to process texts, such as reading, modifying and creating documents and saving them on the web and later on the computer, laptop or cell phone, you can work and save your files in different formats texts that are compatible With other programs, you can also work with different web browsers. There are limitations to create documents with texts and images, since it can not exceed 50MB for each file, and will only serve to create documents that do not contain much data information. And you only work with an internet connection and it is advisable to have a Gmail account for your use. I recommend its use when you do not have an office application previously installed on your computer, you can even download an application on your mobile phone, it supports documents with different formats and save them on Google servers and later on a computer, it has great compatibility with several web browsers. It allows you to read, create or modify documents quickly and easily, when you do not have a program installed to process texts on your computer or laptop, read or save documents in different formats, being an application compatible with web browsers known as Chrome and Firefox. "Best online tool to edit texts. " I like this program because it has many good functions, one of them is the ability to chat and collaborate with colleagues without leaving the Google Docs page due to its integrated chat function, another is that my documents are saved automatically. It is compatible with a variety of formats and also allows me to see the history that gives access to each change and editing made in the document that helps to recover the deleted data. I do not like that you must necessarily have a Google account to use it, it would also be excellent if there were more templates to choose from. This software is very good. If you have access to the Internet, you can access your documents at any time from anywhere, from smartphones, tablets, laptops and desktops. Google docs is an excellent program. 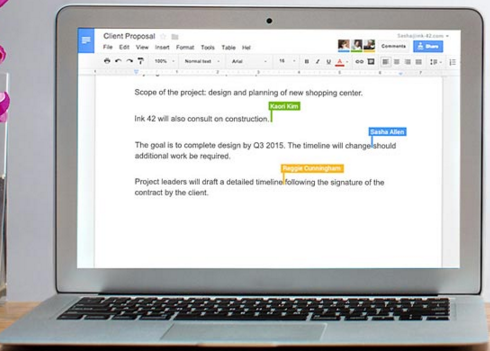 Google Docs has been the best solution for writing my documents and projects through the web. This software allows me a perfect collaboration in real time and avoids the need to have a complicated workflow, it is very easy to use. "The perfect tool to process texts online." This company is really excellent, I really like that it allows me to have access to a word processor this is an excellent platform to help us perform work from any device that we connect and from anywhere in the world. Also this platform allows me to synchronize all my files with other devices and store them in the cloud, it is really excellent, and the best thing is that this company belongs to Google, therefore it is reliable. One of the things that I love most is that I do not need to install any program, nothing! I just need to sign in with my Gmail account and go! This tool is excellent. GoogleDocs is good, but it has some things that should improve, it limits the capacities it can accept for the files, in the text processor it should be maximum 500Kb, this kind of limitations is sometimes a bit annoying. My advice is that they must create very secure passwords, remember that this platform is online, your files are stored on Google servers, therefore the only way to access this information is through the password that you create. So it is better to keep the information safe. I also recommend that they create simple documents, if they are going to create a giant document where they will insert many images they will have limitations. This tool has helped me a lot now, there are times when I'm out of my house or my office and I need to send some report for my team, the only way to access is using this platform on other devices, since I can access from anywhere and send my file in the format that I want. It is also a platform that allows sharing information among several people, in this way I can share general documents for my team and edit them among all, so we can organize much better and keep all this information in the cloud. "Speed, synchronicity and possibilities is what Google Docs is." If there is something I definitely love about Google Docs, it gives me the possibility to access from any medium, computer, cell phone, tablet, synchronize with any convenience and edit the files that I need to accommodate at the moment, I can use it without internet, Due to its simplicity it is easy to adapt, it is really light and offers enough options to edit your texts in the best possible way, I consider it much more than a word processor is the perfect ally for everyone in everyday life. I think everyone has had their good and bad times with Google Docs, however, it is still the excellent tool that is, I love it and I do not think there is something wrong with it. It costs nothing to use it, it is light and you can have it at your fingertips. It is better to have Google Docs and not need it than to need it and not have it. Currently all physical work that previously required paper, sheet and pencil have migrated to digital. The use of Google Docs in our company saves us a lot of money in materials, we all have Gmail and it is all that is required to make use of this excellent application, even with the absence of internet and electricity we have resorted to its mobile application that is super excellent for writing and creating blocks of dialogue. Me gusta google docs por su simplicidad y sencillez a simple vista, por la facilidad de uso e integración con todas las plataformas de Google, pero sobre todo me gusta por la posibilidad novedosa de poder trabajar de forma telemática varias personas sobre un mismo documento, algo que no creo que otros puedan ofrecer. Ha sido clave para mí en muchas ocasiones. Además se puede utilizar simplemente con el navegador, sin descargar nada. Lo peor de Google Docs son las limitaciones de su editor de texto, que no se asemejan ni de lejos a las de los editores específicos de otras suites de oficina. Pero para documentos que no tengan demasiada complicación cumplen sin ningún problema. Recomiento google docs para aquellos que tengan que trabajar constantemente con compañeros y no puedan reunirse tan a menudo. También a aquellos que necesiten un editor que no sea muy complicado, que se pueda usar desde cualquier dispositivo con conexión a internet, y que guarde tus documentos automáticamente en tu nube personal de Google. En el trabajo lo utilizo sobre todo para trabajar conjuntamente de forma telemática sobre un tema específico sobre el mismo documento, cosa que nos ahorra mucho trabajo. Además, al ser un editor utilizable desde el navegador, puedo despreocuparme de problemas de compatibilidad sin importar dónde lo utilice. Las plantillas también resultan muy útiles, aunque no hay demasiada variedad. I love Google Docs! I am currently a graduate student and I needed a way to collaborate with my peers on papers and notes. This makes it so incredibly easy to do so! All you have to do is enter in an email and that person will be able to collaborate with you. Google Docs is the only document app I use for school due to the fact that I have a ChromeBook; however, I have no complaints! I love that you have the option to save your documents as Microsoft Word documents of PDFs because this makes it so easy to submit assignments for school. I really don't have anything bad to say about Google Docs! I love the ease of access and reliability of this app. One thing I will say (if I had to choose) would be that I wish the settings were easier to understand. Maybe it's just me, but I wish that I had the option of opening the application and already being in Times New Roman, 12 pt font (for school purposes). It's a minor inconvenience, but I think that would be a cool option. Please try out this product! You will not regret it...it's perfect for students and anyone else that needs to collaborate on anything! This allows me to submit all my assignments for school with ease and never worry about where they might go if I forget to save them...they save automatically onto my Google Drive! "Google Docs is one of the latest and best application and software for create and read Documents ." i like ,all like its saving procedure document synchronization document from another source to here it is very easy to use ,edit and shareable document to others like your colleagues,if any error is there colleagues can changes that error point and it will update automatically. it have one dislike i was thought about that like it is always depend upon internet if internet slow then it is opening document slowly and editable options perform slowly,if theme also in there in docs it will be looks good. Google product always good best for anyone like students ,employee ,Google docs is good application and software for writing documents and presentation. He he ..Good question what i say ,Google products always help personally and corporate work in organisation ,it have good quality software for editing ,writing different gestures and different styles to perform or present document to client .We maintain all documents through using this. "I create all kinds of documents without setbacks." I really like google docs because it has everything I need to write my documents, the best of all is that it is saved automatically in the cloud of google drive, and that I can share it so that it is edited at the same time with whoever I want, so Group work from home, and if that was not enough, with Google Docs I can do spreadsheets and presentation, has three formats of documents in a single application. I am very pleased with this application is free and I do not have to install any program to use it, just log in to my google account, the only limitation is that you need the internet to use it. I use it very often, because it is the best way to write my documents. you only need a google account. I have had many benefits with this application and my google account, since I can write my documents, as a teacher I have to take many notes and research and I keep all my documents in Google Docs, and they are available to me when you need them from any device where I start session. They are very good all the functions that account, which make office work easier. "Google Docs is a must have for collaborative work!" Google Docs helps me efficiently work on projects, which require me to collaborate with my colleagues on. Instead of having to work on our parts of the project separately and then email copies of drafts to one another, this application allows all of us to work on the project simultaneously. It has many of the same features of Microsoft Word, but with the ability to share the document with peers and edit the document at the same time. There can be times where the document lags and takes extra time for edits to load when multiple users are accessing the document at the same time. However, this does not happen in most instances and the application is reliable more often than not. If you are looking for an application that is very similar to what Microsoft Word has to offer, but with the added benefits of easily sharing and collaborating with peers on one document, then Google Docs is the way to go. The ability to work on documents as you are on the go with mobile and tablet apps increases work flow and efficiency. Google Docs has allowed me to become very efficient in completing tasks that require the input of many different individuals. Instead of having to wait for one person to complete their part of the task before working on my portion, we can all work together at the same time with this app. Furthermore, the Google Docs application for iPhone and tablets allows me to access and work on the documents when I am on-the-go which is very useful. One of the things I like most almost Google Docs is the compatibility it offers, you'll open a report from your computer, tablet or smartphone, it's astonishing how you'll work actually from anyplace. It gives you the elective of utilizing your e-mail Gmail as a hard disk in which to share thoughts, work papers, budgets, inventories, presentations, and more documents, and it is so basic that you simply fair got to type in the email address and that's it. In expansion to this, you'll be able to work in genuine time with another individual from anyplace within the world, it is incredible how you'll be able to rectify the perceptions or notes of any work colleague. Another detail simply ought to know is that it is free, in case you need to extend the free capabilities, you'll know their plans, but in my case, the free adaptation has met all my needs since I utilize it I ceased using write drives and other artifacts storage. As I specify some time recently, Google Dosc works in your browser. Clearly, we can't alter documents, within the same way as we will do in programs that are made for this. If you are looking for a solution that will allow you to create and edit documents online, you should consider trying Google Docs for this purpose, especially since this solution is available completely free of charge. By using Google Docs, I can collaborate with my team and save files to the cloud so I can access them on all my devices. "It's a well-designed text editor I can use in the cloud"
I like being able to pull up documents with my phone or on my computer with Google Docs. I can sync my account so that files are accessible through either device. The program itself is user-friendly and has familiar tools and icons for those that use any of the most popular consumer text editors in the game. I like not having to install software, especially large files, that can take up valuable space on my computer. The Google Docs app has to be downloaded, of course, but I'm glad the file size isn't too huge. I have had some experiences with documents not loading completely the way they're meant to in Google Docs. The discrepancies were on the minor side, but I'd still like for there to be complete compatibility with all the files I use with it. I know that's probably a stretch, but it's something to keep in mind if you're looking for perfection. Though I mentioned it's not perfect, I don't think any text editor really is, so I would recommend Google Docs for reliable text editing that can be used for many different types of documents. 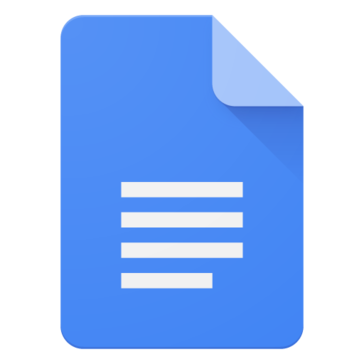 I use Google Docs as a text writer, viewer and editor for many types of business documents and messages. I often prefer to write within a proper text editor, as opposed to web page fields and emails, so Google Docs is a great way for me to have a good spell checker and formatting tools accessible whenever I need to start typing anything. "Create your documentation from the Web"
Mainly I like that it is a totally free tool, which saves us expenses in the acquisition of desktop tools for which it is necessary to acquire licenses that are usually expensive and are not permanent, I like the amount of sources available to you and how customizable it is. Particularly I think it can be compared with the desktop tools the only thing that has in my opinion is that maybe it can be tedious to need access to the internet to make use of this tool. It should be added that it also has a service directly integrated with the use of google drive which is very positive. Regarding the negative, I think that the only thing is that Internet access is necessary, and not in all cases since in its respective application for mobile devices its use is possible without having access to the Internet. I really recommend it a lot I think it is an ideal tool for writing or editing documents, you can get out of trouble at any time, since you can use it with the simple fact of having a gmail account. It is useful from the personal to the work environment, even for university students it can be a great tool. I have been very useful for writing documentation, without having any kind of work in addition to that at the same time in which the end it is possible to share through drive with the people to whom it belongs to see it. "Excellent tool to keep up to date and daily tasks. " Being able to have my tasks organized and updated is what I like most about using docs, in turn, I can share documents online with my teammates and even with my clients. It is a totally free application which makes it more attractive, but functional. It has allowed us to execute the tasks much faster and to have a more effective communication with the team. It is a tool with which we work daily for the dynamic and valuable in our day to day. Docs has fulfilled so far with its functions perfectly, the only thing I do not like is that to enjoy its great benefits, is that the user must have a gmail account as this tool works as an extension of it. We use it daily, it's excellent. To streamline processes and keep updated the information we handle daily, docs is an excellent option, in addition to the time savings generated by being able to share information online with others, it is really significant, timely information and on time. On the other hand, it is advisable to open gmail account to enjoy the great benefits of this incredible tool. Start using it now, it's worth it. The impact we have had with this valuable application in the organization has been really positive, since our tasks are always updated, safe, the time saving has been quite significant to be able to share any document with my work team, the tasks are perform with greater fluency. As a sales representative I use it very often with my clients, since I keep them updated about the new product lines and promotions, including the price lists of the products are updated and reviewed by them online. It has been very useful and we use it daily, thanks to docs. "Simple text processor but ideal for your work. " Google Docs is an online office suite, which we access through the browser and with which we can create and manage text documents, presentations, spreadsheets or forms. We can also upload to it files created with other applications such as Microsoft Office or Open Office to work with them, all be online, we can access the files and the application from any site and with any computer with internet connection without installing anything, the files and folders can be shared with other Google users, which is very useful for collaborative works, or to show potential clients or editors our texts. In general Google Docs, is a processor that although it is very simple, offers what is necessary to write different types of texts, with a very clean interface and that we also use online, which gives us the advantage that all our documents are stored in the cloud, Google Docs is a good word processor. I have no negative thing to say about Google Docs, it is the ideal word processor to create and edit our documents, especially in those times when we are in a hurry and need to write our ideas quickly, it is easy to use, intuitive and with good tools. Google Docs is a good tool to create works or simple documents, we can use it from any computer or place where we are, since it is not necessary to download it, I recommend it for both personal and professional use, we currently need to have a word processor in our lives, and google docs is a good choice. As a writer my main function is to write, so I'm constantly texting new ideas, Google Docs has become my great ally to write a lot of my work, what I love most is that even very simple offers you what you need to write a good job . "Text editor with an excellent collaboration tool." The most significant facility of Google Docs is integration with the Google platform and other tools. It enables people to store their data on a cloud-based server so that you could access them from any place around the world. The text editor is well-designed, and the tools are located similarly to other software, which allows users to switch effortlessly between the editors. Also, it provides some advanced functions such as equation tool and implementing graphics and diagrams from the device or Google Drive. Also, the platform offers an excellent teamwork tool so that you could easily collaborate with other users and work together at the document. 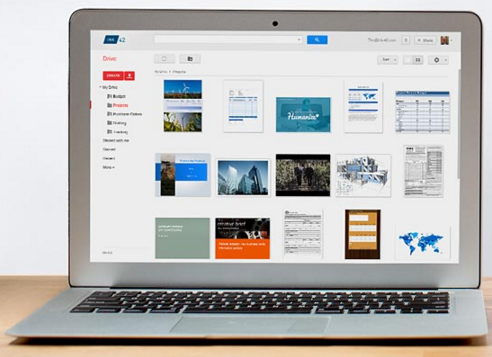 The files created using Google Docs are easy to share, and the format of the document is universal. Unfortunately, the searching and proof-reader tool is not adapted to languages with inflexion, and often suggest a wrong form of the word and couldn't find the phrase if it's inflexed. I highly recommend the text editor if you are looking for a solution with an excellent collaboration tool, that enables you to work at the project together. Also, the platform has implemented many powerful features and is completely free of charge. Google Docs enables me to work at the documents together, thanks to the excellent collaboration tool. Also, the software supports many devices, so it allows me to keep the document around from anywhere. "Online text processor where I can work with all my colleagues"
Excellent software for word processing, it is very similar to Word and has all the options I need, I can install fonts and also add functions through its add-ons store, something I like about Google docs is that I can work collaboratively with my colleagues, I can create activities and also I can assign specific pages to a user. Although it has an option to work if connection is very bad since many of its functions are disabled by not having an internet connection, I have also noticed that Google docs has a hard time processing very large documents as it becomes slow. It is a very good and novel text processing tool that everyone can use, it is very intuitive and it is always ready to be used. In the office this is a software that I use every day to be able to review documents sent by my colleagues, I also use it to keep important documents and keep them safe in the cloud. "Google Docs, The future of word processors." Google Docs is a natural evolution of the obsolete office suite based on desktop applications, today applications are more useful in the cloud and Google has taken advantage of this by creating this application that works as a word processor. The advantages of using a word processor in the cloud are that we can share documents with staff of our team or other people simply with a simple link. This link can be read only or allow the modification, thus enabling teamwork, which is very useful for companies that have teams working together. Another feature of office applications in the cloud, in this case Google Docs is that all your work is stored in services such as Google Drive (although you can also download it to your local computer). Being an application in the cloud, this has certain limitations that do not occur in the case of desktop applications, such as the speed of response of the application or be linked to your Internet connection, in which case if this lost could cause the loss of data if they are not saved. I recommend this application for personal and professional use if you do not need to use advanced tools such as macros since they work differently than desktop versions and the result may not be as expected. For the rest it is a free application and if you only want to generate simple documents without paying licenses for the application, then Google docs will serve you. At work we use Google Docs among other office applications because besides being free and not having licenses we can easily share the documents once finished and work on them as a team. In addition to saving all the progress in the cloud, the work is safe from mechanical failures in our hard drives. "Muy fácil de usar y sencilla"
Lo más llamativo es su sencillez, aunque no sea necesariamente bueno, en este caso al ser una herramienta online y gratuita puedes hacer todo lo básico y crear archivos con mucha rapidez y sencillez, además el guardado automático en la nube que evita que pierdas el progreso por algún corte de electricidad o internet o similar, es de agradecer en estos tiempos en los que una situación así puede arruinarte el trabajo de horas. No solo destaca la sencillez, sino también su poca complejidad, carece de opciones más complejas pero algunas de ellas necesarias, así como la nula capacidad de exportar ciertos metadatos o incrustar información en el archivo cuando lo exportas (o cuando te lo descargas en tu ordenador o en otro lugar). A pesar de que Google sea omnipresente y el mayor gigante de internet, si necesitas ayuda con esta herramienta de ofimática -google docs- es más fácil que lo encuentres en el propio internet que facilitado por Google, es una pena que tenga que ser así, no es fácil de entender que semejante empresa no tenga un sistema de soporte eficaz. Por suerte para todos esta herramienta es muy sencilla de usar y poco compleja, así que por lo general no necesitarás ayuda de ningún tipo. Cuando estoy fuera de la empresa o de cada suelo usar Google Docs por su capacidad de trabajar en cualquier entorno, sin usar apenas recursos (los del navegador) y su compatibilidad con todo lo estándar. "An easy-to-use and free work assistant "
During the time I have used this program I have had a very good experience, it has been easy to use, I have not had to invest money and my work has been greatly simplified, besides the ease with which I can share information with my clients in any moment. The versatility of the program in terms of formats, letters and spreadsheets has allowed me to develop my work according to the needs of each client. Its storage capacity is not in accordance with all the advantages offered by this program. It would be very nice not to have to save my information separately every so often to have storage space. Another inconvenience that I have suffered is that without the internet I have no way of accessing my documents, which makes it difficult for me on some occasions. This tool has been very helpful and obviously I recommend it. It has its disadvantages, of course. The limit of storage space and the fact that I have to rely on the internet to access my files are the largest. Although it is excellent, it does not replace a tool you have on a desktop, by hand, and storage does not depend on external sources, but on the capacity of your equipment. Which you can solve by investing in it. I recommend Google Docs, since I have about three years working with this tool. I can say that it has been very helpful for the development of my work. The diversity of elements offered, has allowed me to expand my work and break with the routine that brings my profession. The problem that I have had with the storage space, I have solved downloading my files every certain time, but it would be the best to expand the margin of storage space in this program.